7. Swing a coin by a coat hanger! How does it stick?! - Visit ABC News in Science for this magical trick! Money Maker - Put yourself on a bill! - Upload a photo at Festisite! 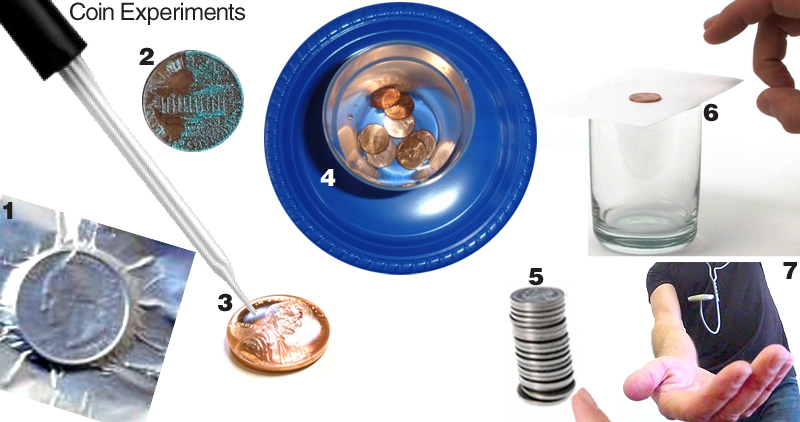 Coin Scavenger Hunt - Hunt for coins minted from various years and sequence them in order! Coin Rubbings - Put coins under thin paper and rub over top with crayons. Where's George? - Track a dollar bill! 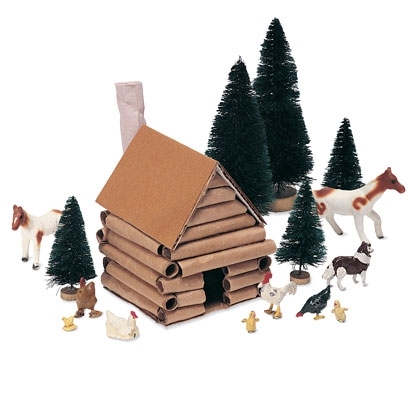 Paper Log Cabin - Split students up into teams. Then, have them sketch out a design and construct it using paper tubes. Visit Spoonful (featured left). Cherry Tree - Use a soda bottle for prints or crunch up tissue paper. Life-Sized Presidents - Have kids split up into groups and pick a president. They measure out his height and create a paper president. Writing - What would you do if you were president?